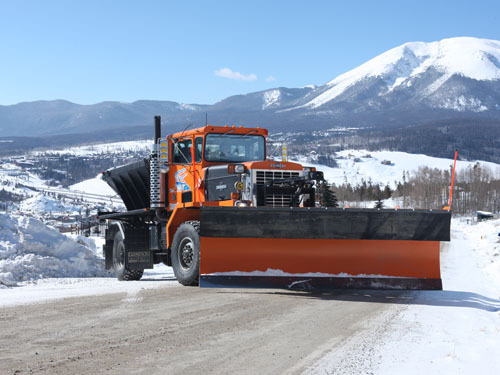 Unlike commercial vehicles that are merely adapted to plow snow, the P-Series and MPT-Series chassis are specially designed to attack the most severe winter conditions. 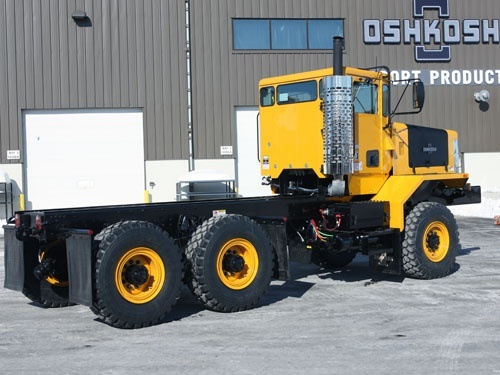 Chock full of the muscle, durability, reliability, and value that come with 50 years of Oshkosh expertise, these snow chassis readily accept a range of plows, scrapers, bodies, de-icers, and brooms to help you respond with full force. 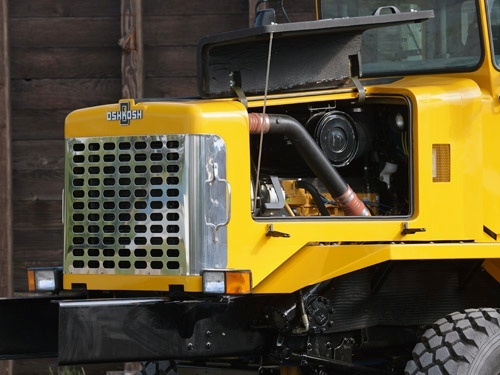 Superior durability comes from road-proven transfer case and the Oshkosh steering drive axle with closed-wheel end design and heat-treated alloy axle shafts. The steering axle’s adjustable tapered-roller trunnion bearings are engineered to easily handle the side loads encountered under severe snow-removal conditions. are easily accessed from a panel on the dash’s right side. 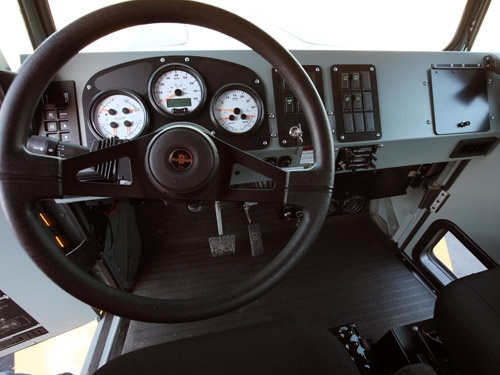 and brake pedal locations, and makes cleaning the cab very simple. SMOOTHER RIDE, LESS COMPONENT STRAIN. The P-Series and MPT-Series allow full front suspension travel, thanks to our from the-ground-up design emphasis. That same dedicated design provides greater clearance from the engine oil pan to the front axle bowl than competitive models and conversions. That means a smoother ride and less strain on major components over time. wipers, and optional side-window wipers. All dramatically reduce snow and ice build up, and help prevent wiper damage. Plus, a short hood means superior visibility from the driver’s seat. 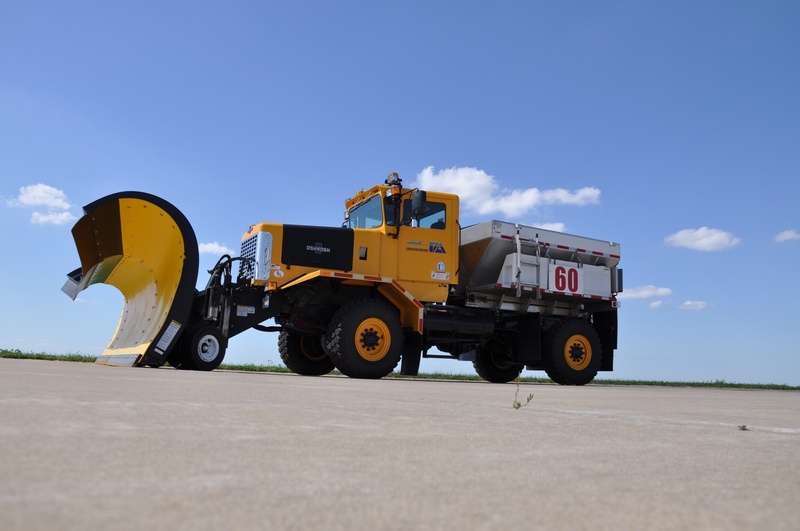 Plows, dump spreaders and other equipment can be added quickly, without having to first move other components. Number- and color coded wiring harnesses and weatherproof electrical connectors assure easy identification and repair, as well as easy installation of dealer-installed lighting. We use a three-point system of attaching the cab to the vehicle with rubber mount cushions, so shocks, vibrations and torsional strains from roads are absorbed without transferring them to the cab. 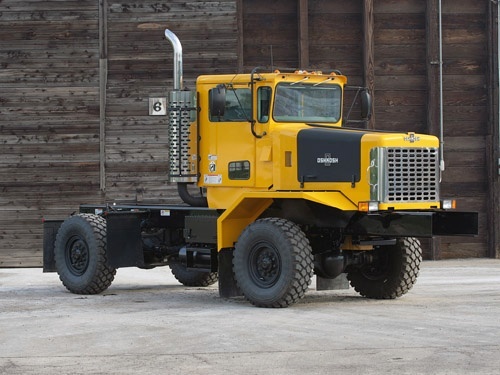 frame rails, the radiator location allows room for easy installation of a crankshaft-driven PTO. FENDERS AND HOOD MAKE ACCESS EASY. Engine access and equipment mounting are a cinch, thanks to cutaway fenders and a butterfly hood. Daily oil checks can be done from the ground through a small hatch in the hood. And the easy-to-remove fenders give quick, full accessibility for more extensive engine maintenance.